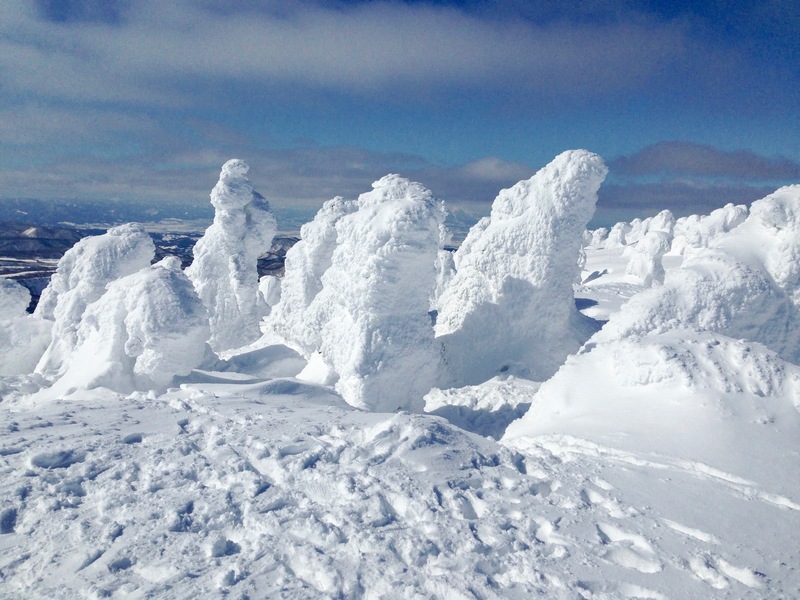 Aomori’s “Snow Monsters” come to life during the infamous Tsugaru winter on Mt. Hakkoda. 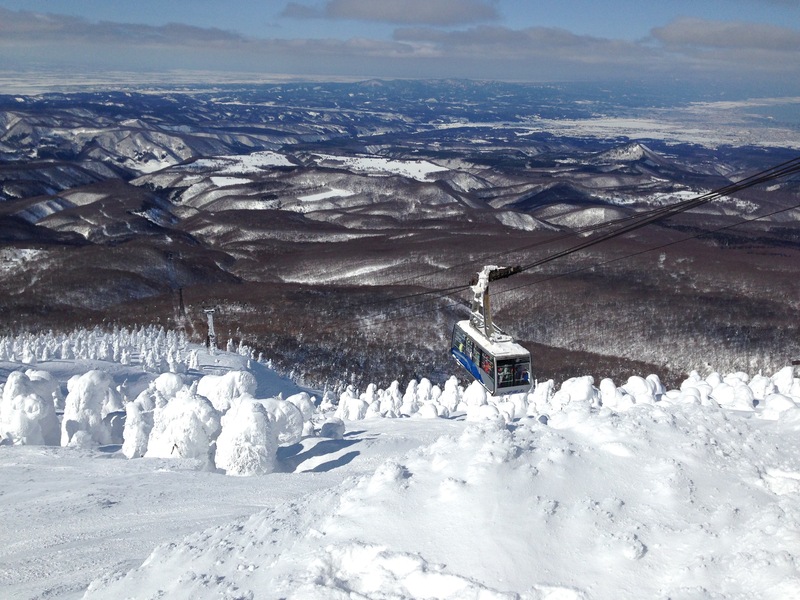 Although they are concentrated far atop the summit, visitors can gracefully ascend up the mountain on a local gondola lift known as the Hakkoda Ropeway. The world’s largest gondola lift manufacturer, a division of Austrian-Swiss Doppelmayr Garaventa Group, built the Hakkoda Ropeway in 2003. The main terminal is located at the base of the mountain and sells round-trip tickets to the summit for approximately 1,850 yen for adults and 870 yen for children. 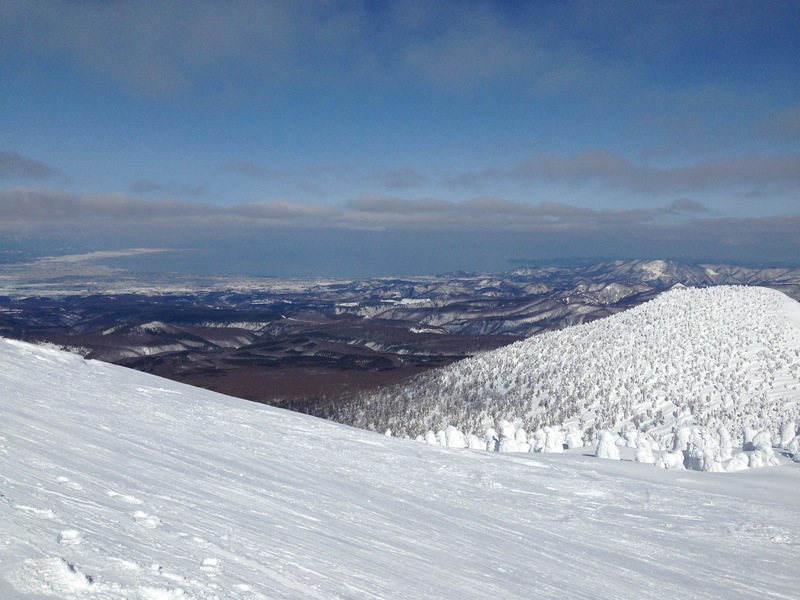 Snowboarders and skiers can buy one-way tickets for 1,180 yen for adults and 570 yen for children. The first trip departs daily at 9:00 AM and runs every 15-20 minutes until 3:40 PM. The lift can carry over 100 people each journey. Known as juhyo in Japanese, the Mt. 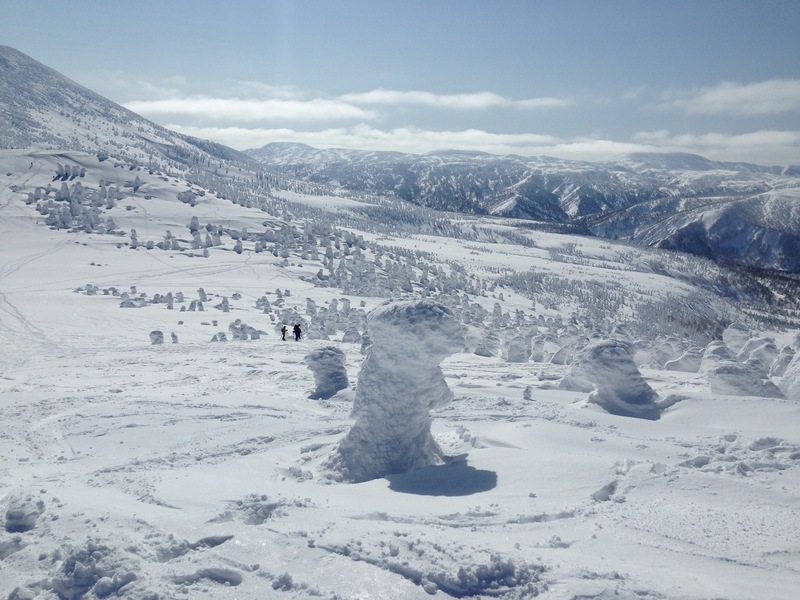 Hakkoda “Snow Monsters” are actually just Maries’ fir pine trees covered in rime. According to the American Meteorological Society, soft rime is created when supercooled fog is deposited “on vertical surfaces.” Scientists discovered the exact formation of this phenomenon through “temperature scanning electron microscopy [that] allows for the precise measurement of the frozen droplets that form rime.” Although the Snow Monsters are beautiful to look at, visitors should not step too closely near the circular depression on the ground that surrounds them or else they may be sucked into icy quicksand. At the summit, Mt. Hakkoda offers a spectacular bird’s-eye view of Aomori City and Mutsu Bay. 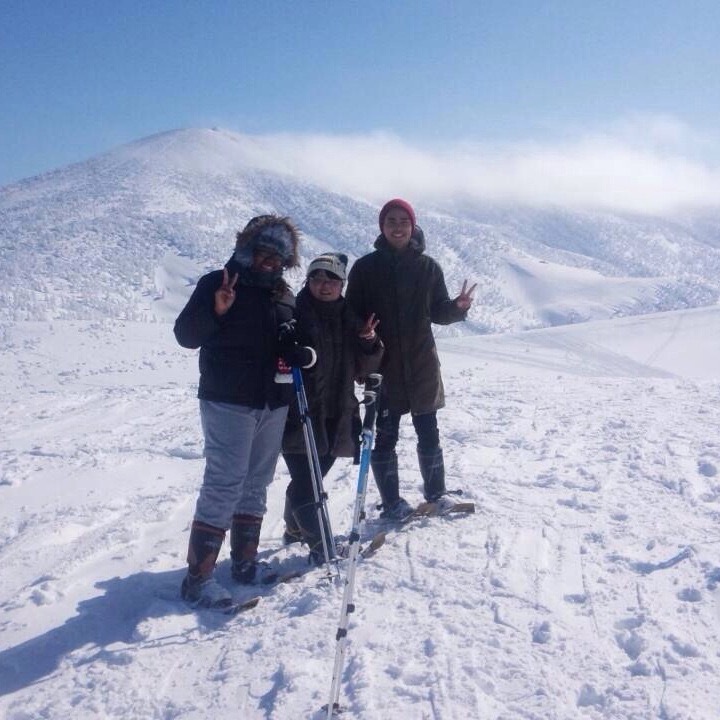 Visitors can reach Mt. Hakkoda from Aomori City in the winter by taking the local bus line toward Sukayu Onsen for 1,100 yen. 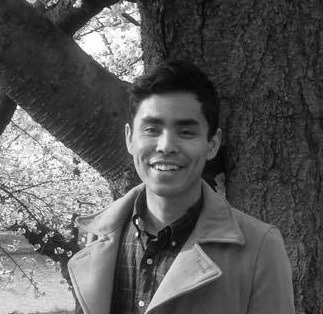 Jared is a Silicon Valley Native and recent college grad currently exploring the Eastern Hemisphere. You can follow his writings by liking his profile on Facebook.